The highest-energy particle accelerator ever built, the Large Hadron Collider runs under the border between France and Switzerland. It leapt into action on September 10, 2008, amid unprecedented global press coverage and widespread fears that its energy would create tiny black holes that could destroy the earth. By smashing together particles smaller than atoms, the LHC recreates the conditions hypothesized to have existed just moments after the big bang. Physicists expect it to aid our understanding of how the universe came into being and to show us much about the standard model of particle physics-even possibly proving the existence of the mysterious Higgs boson. 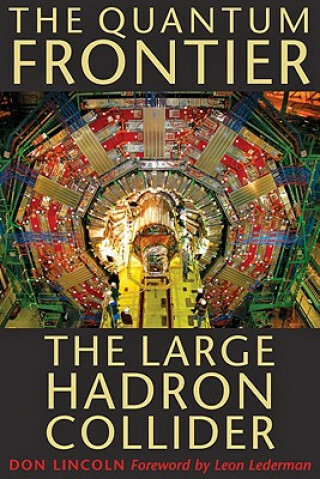 In exploring what the collider does and what it might find, Don Lincoln explains what the LHC is likely to teach us about particle physics, including uncovering the nature of dark matter, finding micro black holes and supersymmetric particles, identifying extra dimensions, and revealing the origin of mass in the universe. Thousands of physicists from around the globe will have access to the LHC, none of whom really knows what outcomes will be produced by the 7.7 billion project. Whatever it reveals, the results arising from the Large Hadron Collider will profoundly alter our understanding of the cosmos and the atom and stimulate amateur and professional scientists for years to come.